Ohm Studio, Other Sequencer from Ohm Force. Ohm Force has announced release date, pricing and pre-orders for Ohm Studio. 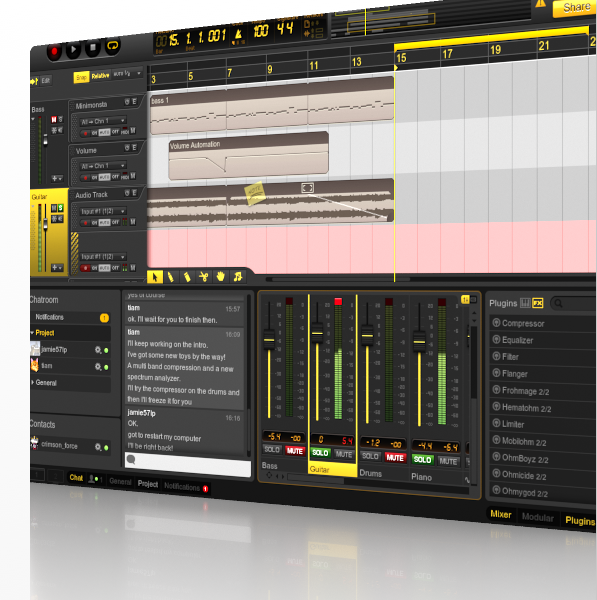 Ohm Studio is their DAW for online music production, which has been in open beta since the end of May. Ohm Studio now features 14K users who created 21K projects - some solo, others collaborating with partners, and some others taking part in fun public jams at weekly events. Ohm Force say the overall quality of the projects is pretty impressive and the Ohm Force team witnessed live how fast tracks were recorded and put up together, thanks to effective real-time collaboration. Beta is planned to end in October and fluently transit to the release. At that point, user-created content will not be deleted. Buyers of the discounted pre-orders will enjoy full access to Ohm Studio for 6 months or forever (see below). Non-buyers and newcomers will either go for the limited free account or the €9/month standard subscription for full access. A 6-month pack for €39.00 instead of €54.00, starting as of end of beta. A pre-order exclusive lifetime subscription for €149.00. The price of the lifetime subscription will increase by €25 every month until the release, at which moment this offer will be removed. Prices include VAT and will therefore be cheaper to non-EU residents. To learn more about Ohm Force's pricing policy, read their dedicated FAQ. 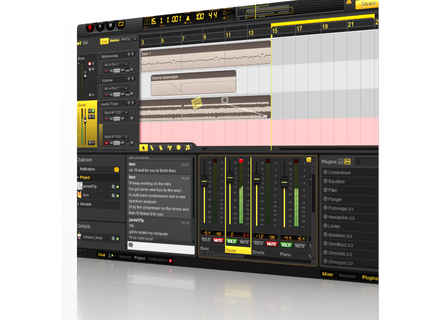 Sample Logic Electrix for Ableton Live Ableton Electrix is a collection of instruments derived from real-world acoustic sample material, synthesis and physical modeling. UVI Emulation One UVI releases Emulation One.